Dr John Rooney is an Orthopaedic Surgeon who specialises in Hip replacement surgery. He also specialises in Knee and Ankle surgery. 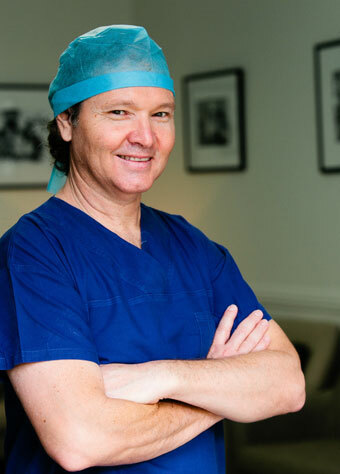 Dr Rooney graduated with Honours from the University of Sydney with a Bachelor of Medicine, Bachelor of Surgery, in 1994. He is a Fellow of both the Royal Australian College of Surgeons (F.R.A.C.S) and the Australian Orthopaedic Association (F.A.Orth.A). Dr Rooney has built over the years a strong reputation as a Hip replacement surgeon. He is an Australian pioneer in computer navigated, minimally invasive, anterior total hip replacement surgery. This surgical approach is also known as The Direct Anterior Approach (DAA) whereby instead of having your hip replacement done through the back of the hip the operation takes place through a small incision in the front of the hip. Dr Rooney has fine-tuned this innovative surgical technique and has dedicated over half a decade to this approach with very rewarding results for his patients. Dr Rooney’s surgical interests extend beyond the hip. He is also very passionate about knee and ankle conditions. Dr Rooney has a large repertoire of surgical options for each of these three areas, including total knee replacement and total ankle replacement and ligament reconstruction. In the event that you require surgery, Dr Rooney consults and operates at both St Vincent’s Private Hospital in Darlinghurst and St Luke’s Hospital, Potts Point. Are you a new Patient? Fill out the new patient form for Dr Rooney.